By giving this gift of greenery, you can create a living legacy while demonstrating your commitment to the Rootstown Community, the environment, and to our future. Your donations will pay for the cost of purchasing and planting the tree(s) and for its regular maintenance. If for some unforseen reason the tree should die prematurely, a replacement will be planted. The cost per tree is $275.00. The location of planting sites will be chosen by the Township Trustees. Your gift of greenery will be commemorated on a special map located both at the cemetery and at the Town Hall. 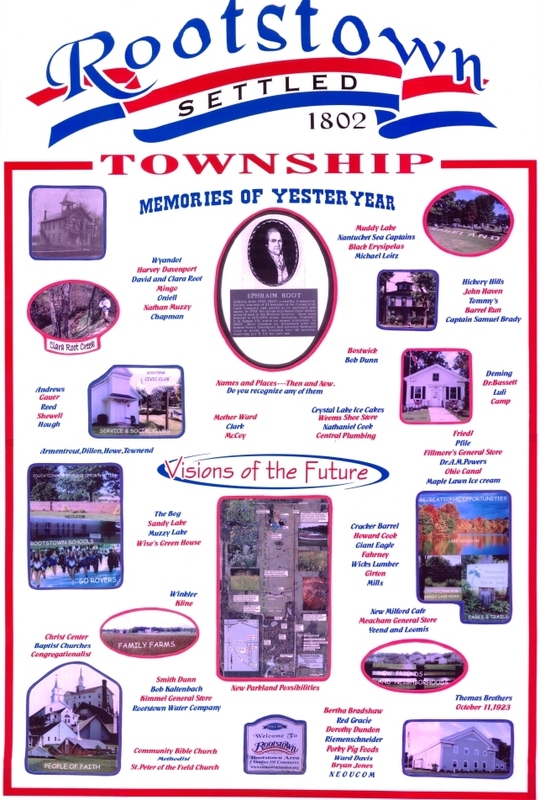 Some general information about Rootstown can be obtained by clicking ~ here ~.